This document governs your relationship with us. Access to and use of this Website and the products and services available through this Website (collectively, the “Services”) are subject to the following terms, conditions and notices (the “Terms of Service”). By using the Services, you are agreeing to all of the Terms of Service, as may be updated by us from time to time. You should check this page regularly to take notice of any changes we may have made to the Terms of Service. You must not misuse this Website. You will not: commit or encourage a criminal offense; transmit or distribute a virus, trojan, worm, logic bomb or any other material which is malicious, technologically harmful, in breach of confidence or in any way offensive or obscene; hack into any aspect of the Service; corrupt data; cause annoyance to other users; infringe upon the rights of any other person’s proprietary rights; send any unsolicited advertising or promotional material, commonly referred to as “spam”; or attempt to affect the performance or functionality of any computer facilities of or accessed through this Website. Breaching this provision would constitute a criminal offense and The BOSS Food Company will report any such breach to the relevant law enforcement authorities and disclose your identity to them. 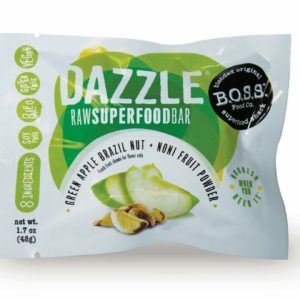 The contents, including all text, graphics, photographic images and all other material contained on bossfoodco.com (collectively, the “Content”) are for your personal informational purposes only. The intellectual property rights in all software and content (including photographic images) made available to you on or through this Website remains the property of The BOSS Food Company or its licensors and are protected by copyright, trademark and other laws, regulations and treaties around the world. All such rights are reserved by The BOSS Food Company and its licensors. You may store, print and display the content supplied solely for your own personal use. You are not permitted to publish, manipulate, distribute or otherwise reproduce, in any format, any of the content or copies of the content supplied to you or which appears on this Website nor may you use any such content in connection with any business or commercial enterprise. You must not delete or alter any copyright or other notice we place on any Content. You may not use Content in any way not expressly permitted by these Terms and Conditions. Such use will result in the automatic termination of your right to use the Content. 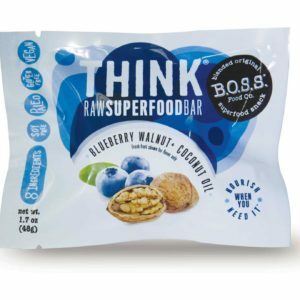 The BOSS Food Company will enforce its intellectual property rights to the fullest extent of the law. All rights not expressly granted herein are reserved. In order to contract with The BOSS Food Company you must be over 18 years of age and possess a valid credit or debit card issued by a bank acceptable to our payment processor (a third party, currently PayPal). The BOSS Food Company retains the right to refuse any request made by you. If your order is accepted we will inform you by email and we will confirm the identity of the party with which you have contracted with. This will usually be The BOSS Food Company or may in some cases be a third party. Where a contract is made with a third party, The BOSS Food Company is not acting as either agent or principal and the contract is made between yourself and that third party and will be subject to the terms of sale which they supply you. When placing an order you undertake that all details you provide to us are true and accurate, that you are an authorized user of the credit or debit card used to place your order and that there are sufficient funds to cover the cost of the goods. The cost of foreign products and services may fluctuate. All prices advertised are subject to such changes. We will be happy to replace item(s) in the unlikely event that they are damaged or spoiled during transit. To ensure that you are satisfied with the product you receive, please inspect the contents as soon as your order arrives. We will not accept items claimed to be damaged or spoiled in transit after 7 business days post-delivery. 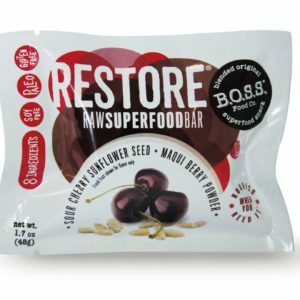 The BOSS Food Company is not responsible for damage or loss as a result of shipments being returned to the freight location or being undeliverable as a result of incorrect address information you supply to us or for inability of a recipient to receive the package. If you wish for us to reship a package, you will be charged 50% of the product cost plus the full cost of Shipping/Handling. Refunds for goods can only be credited to the originating payment method. For more information, please contact our Customer Service department at 800.344.8584 8am – 6:30pm CT Monday – Friday. Certain Content presented on Site is intended to impart general nutrition and well-being information. The Content is not intended to be construed as or be a substitute for professional medical advice, diagnosis or treatment. Always seek the advice of your doctor or other qualified health provider with any questions you may have regarding a medical condition. Users agree to never disregard professional medical advice or delay pursuing advice, diagnosis or treatment because of anything on or associated with our Site. If you think you may have a medical emergency, call your doctor or 911 immediately. 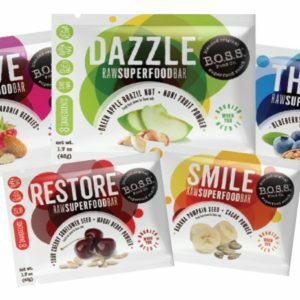 Neither The BOSS Food Company nor bossfoodco.com recommends or endorses any specific tests, physicians, products, procedures, opinions, course of treatment or therapy or other information on or associated with the Site. You should always consult your own qualified health care professional concerning your particular circumstances and needs and not rely on our Site or Content. The Use of our Site is solely at your own risk. The material displayed on this Website is provided without any guarantees, conditions or warranties as to its accuracy. Unless expressly stated to the contrary to the fullest extent permitted by law, The BOSS Food Company and its suppliers, content providers and advertisers hereby expressly exclude all conditions, warranties and other terms which might otherwise be implied by statute, common law or the law of equity and shall not be liable for any damages whatsoever, including but without limitation to any direct, indirect, special, consequential, punitive or incidental damages, or damages for loss of use, profits, data or other intangibles, damage to goodwill or reputation, or the cost of procurement of substitute goods and services, arising out of or related to the use, inability to use, performance or failures of this Website or the Linked Sites and any materials posted thereon, irrespective of whether such damages were foreseeable or arise in contract, tort, equity, restitution, by statute, at common law or otherwise. This does not affect The BOSS Food Company’s liability for death or personal injury arising from its negligence, fraudulent misrepresentation, misrepresentation as to a fundamental matter or any other liability which cannot be excluded or limited under applicable law. Except where expressly stated to the contrary all persons (including their names and images), third party trademarks and content, services and/or locations featured on this Website are in no way associated, linked or affiliated with The BOSS Food Company and you should not rely on the existence of such a connection or affiliation. Any trademarks/names featured on this Website are owned by the respective trademark owners. Where a trade mark or brand name is referred to it is used solely to describe or identify the products and services and is in no way an assertion that such products or services are endorsed by or connected to The BOSS Food Company. You agree to indemnify, defend and hold harmless The BOSS Food Company, its directors, officers, employees, consultants, agents, and affiliates, from any and all third party claims, liability, damages and/or costs (including, but not limited to, legal fees) arising from your use this Website or your breach of the Terms of Service. 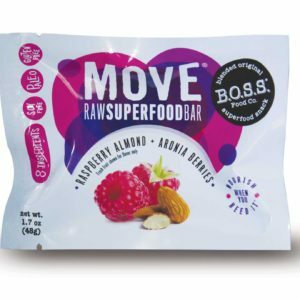 The BOSS Food Company shall have the right in its absolute discretion at any time and without notice to amend, remove or vary the Services and/or any page of this Website. 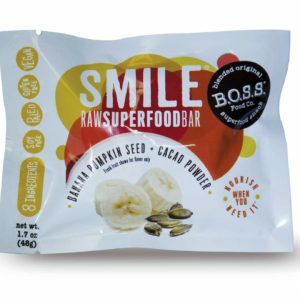 The above Terms of Service constitute the entire agreement of the parties and supersede any and all preceding and contemporaneous agreements between you and bossfoodco.com / The BOSS Food Company. Any waiver of any provision of the Terms of Service will be effective only if in writing and signed by a Director of The BOSS Food Company. The BOSS Food Company is committed to safeguarding your privacy. Contact us at info@bossfoodco.com if you have any questions or problems regarding the use of your Personal Data and we will gladly assist you.